Greek legends have always interested me. It’s like comic book lore but has some legitimacy behind it. You talk about the origins of Wolverine and people will judge you but you talk about the origins of Prometheus and you get a degree in Classics. It’s a rich well that media has dipped it’s toe into occasionally (see Disney and God of War) but really there is so much more to enjoy if you look past some of the more ‘silly’ bits. Theseus especially is a fascinating tale about a son trying to prove his worth to a father who wants a strong manly man for a child, he sets challenges for Theseus that he flies through getting stronger each time. Due to a political assassination, people of Athens are being sent to Crete to be sacrificed to a Minotaur that lives in a labyrinth. After watching this play out for a few years Theseus decides he should go use his manly manliness to go off the minotaur and show off to everyone how ripped he is. It’s basically buff boy does good but with a bummer of an ending involving putting the wrong sail on his ship. With VR still being in its infancy it’s getting harder and harder to know what standards are going to be set and where everything is going. A key part of this is working out when something is an ‘experience’ and when it is a ‘game’. I appreciate this is nitpicking and it really doesn’t matter as long as you’re having fun but at the same time it sets an expectation. 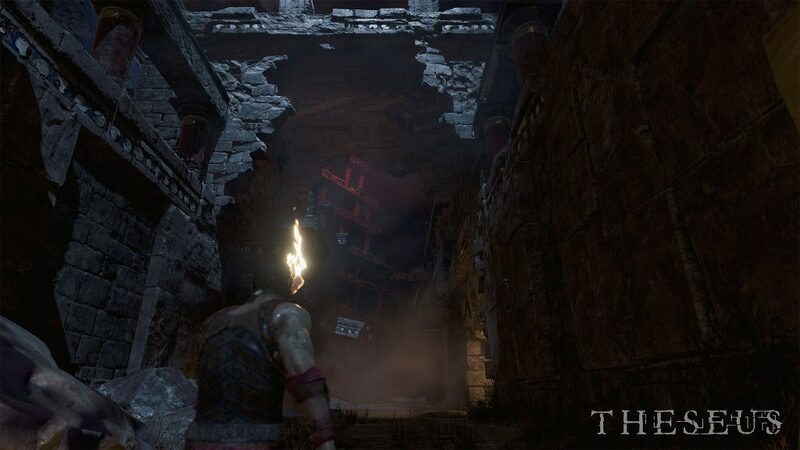 With the incredibly vague trailers released before launch for Theseus no one knew what the game was, and it didn’t feel like it was in a ‘ooh ahh surprise’ way, it just seemed confused. And that’s what Theseus is to me, a product that confuses the player and itself. It’s a cat staring in the mirror not sure what it’s looking at and what impact it’s actually having as it takes a swipe. Theseus is not the first 3rd person game to take a punt at VR, but at least it does something interesting with the camera. In each room you are poised to view the action from a corner like a voyeuristic security camera or something akin to a moving resident evil 1 perspective. 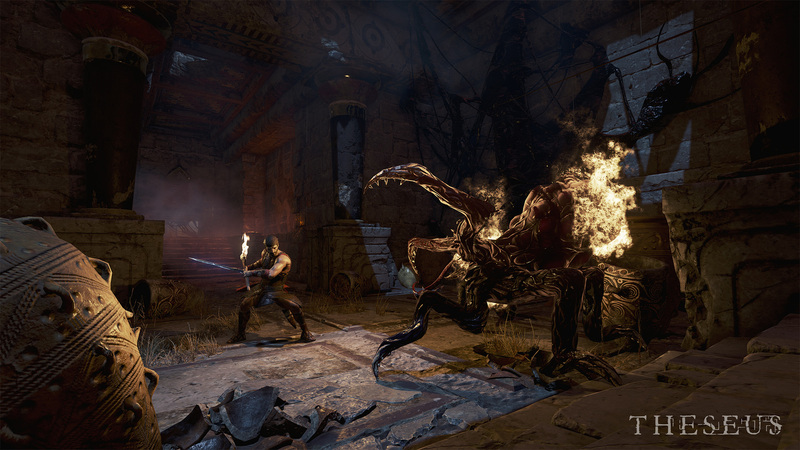 From this vantage point you must guide Theseus through the labyrinth with the goal of defeating the minotaur. 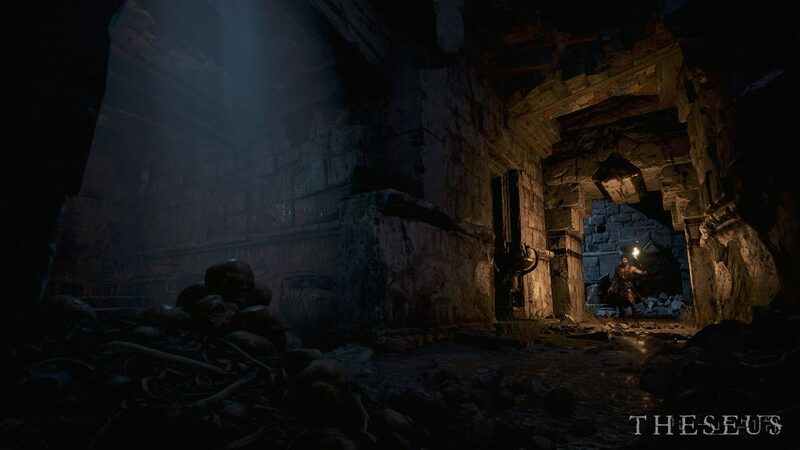 Along the way you must combat other inhabitants of the maze and navigate the ledges of the decrepit structure. Unfortunately none of the above actually poses a threat at any point. This is why I suspect this is more experience than game, at no point does Theseus test you or push any requirement from the player other than to be there and to witness things. When you are introduced to combat you’ll miss the parts without. It’s a clunky affair with wonky animations that don’t flow and a general malaise to the whole affair, it’s something to get through, not something to pursue. Everything in this game takes a year to do, the pace is slow, there’s no two ways about it. You can’t help but zone out as you spend far too long just walking from one side of the room to another. All in all you’ll be lucky to get a couple of hours of gameplay out of this, it’s short. 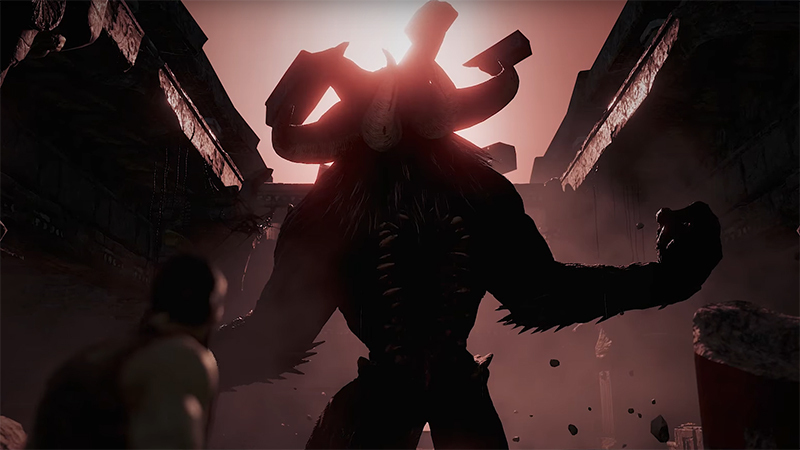 There are hidden elements to the game that lead to multiple endings but in a testament to my skill and potentially my interest I didn’t come across a single hidden element during my time with Theseus.